All White Desert tours, river cruises, expedition cruises, and adventure trips. Find the best guided trips and expert planned vacation and holiday packages. 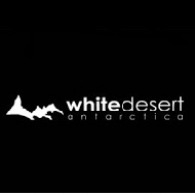 Average rating of 0.0 for all White Desert trips. Stay in our modified 4x4s luxury camp overlooking a 200ft ice fall.The camp itself is totally unique, with high tech fibreglass pods that are heated and comfortable. Enjoy kite-skiing and ice climbing. Visit an Emperor penguin colony of over 3,000 breeding pairs and their newly hatched chicks. See penguin chicks waddling right up to you. Fly to the South Pole - the holy grail of the early explorers and the lowest point on earth. Experience being at the lowest point on Earth. Enter the AmundsenScott American science station to learn about their often ground-breaking research, before going to their unique South Pole shop to buy souvenirs and even send postcards! Experience camping in one of the wildest places on earth.